this interview made me go ad watch Jin v Verse when Jin was at his peak. He has haters, but has made more money than 98% of battle rappers. Jin: "I Was the Justin Bieber of Hong Kong" MC JIN - Brand New Me (Official Music Video) Hypocrite [EP] FULL AUDIO - MC Jin. Still With You - Jin feat. Uncle Reece. Jin: "I Was the Justin Bieber of Hong Kong" Jin - Senorita. Fight Klub Jin vs Shells. 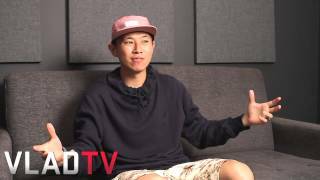 MC JIN freestyle - LIVE at INSPIRE 2011 | I AM MADE Records. Jin: "I Was the Justin Bieber of Hong Kong" Snoop Doggy Dogg & Tray Deee - 21 Jumpstreet. Charlamagne on Iggy Azalea Everyone in Hip-Hop Puts On an Act. Jin on Serius Jones Battle: "It Ate at My Soul"